The Apple Duathlon is a multi-sport race held in Sartell, MN each year toward the end of May. The 2019 Apple Duathlon will be the host of the USAT North Central Regional Duathlon Championships. For more information CLICK HERE. Since 1983 the event has drawn as many as 500 local and world class competitors and now offers both long and short distances as well as a 5k Family Fun Run. This great event has been one of the nations favorite duathlons for many years and has been used as a qualifying event for both the national and world duathlon championships. For our 2019 community giving we will be supporting a number of local groups raising funds for athletics and other causes. 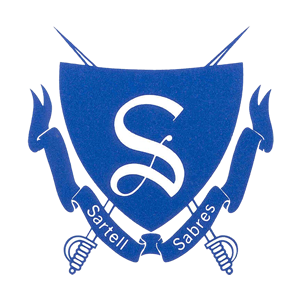 In addition to that, a portion of the proceeds from the Sartell Apple 5k Family Fun Run will go directly to support the Sartell High School Athletics Booster Club! Go Sabres! This is a standard distance duathlon that is sanctioned by USA Triathlon. The 5k run starts and finishes at the Sartell Middle School. The 33k bike starts at the Middle School, heads out through the rolling hills of St. Stephen, MN, and then heads back along along the flat and fast Mississippi River Road where you will finish with another exhilarating 5k. The short course race consists of a 5K run followed by a 15.5K Bike, followed by a quick dash to the finish line. The bike is about half as long as the full course and does not include the 2nd run. The sprint race is open to adults as well as kids ages 10 and up. Youth registration fees are only 50% of an adult entry! APPLE 5K FAMILY FUN RUN! The Apple 5k Fun Run gives the whole community a chance to come out and enjoy the festivities while raising funds for a great local cause. A portion of every 5k entry goes to help support the Sartell All Sports Booster Club and the great kids in after school sports as they strive to be the best in Central MN.